Replacing an air conditioning system isn’t fun. That’s a fact. Having a contractor in your home all day isn’t fun either. That’s why we’ve structured our entire HVAC system replacement process on making it as quick and painless as possible – we promise. First off, our guys make the difference. They’re actually Reliant employees, and they aren’t subcontractors. In fact, most of them have been with us for years. 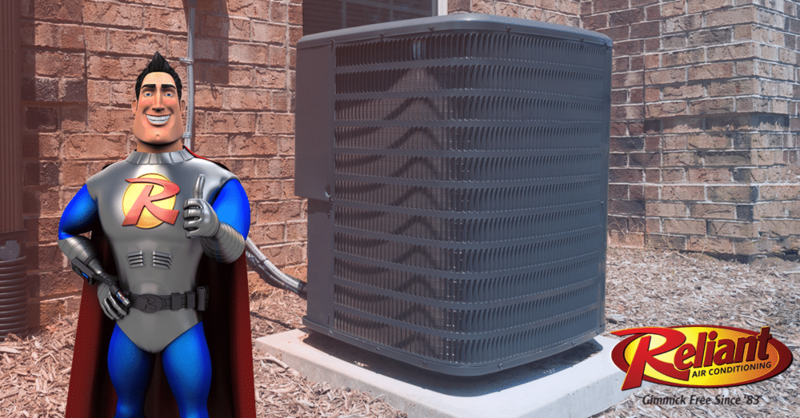 We really put an emphasis on taking care of your home here at Reliant Air Conditioning. We use our own doormats, and we even put down drop clothes all the way from the front door to the working area. As a result, we’re never directly walking on your floor. Our ultimate goal is to leave the house cleaner than we actually found it! We really focus on quality, too. All of our guys are trained directly from the manufacturer. We’re talking hundreds of hours of factory training here, folks. You deserve the best, and we want our guys to have the knowledge to provide that to our customers. Before we leave the house, we do a 64-point inspection to make sure your replacement is 100% perfect. Finally, replacing an air conditioning system is more than just showing up and installing a unit. There’s permits involved, inspections, registering the equipment – and it can be really confusing for a homeowner. We actually have dedicated office staff that handles all of those complexities for our customers. We’ve really tried to make the process as easy as possible for our customers, and they really appreciate that. Want to learn more about us? Download our “Why Choose Reliant” guide below. We look forward to becoming your heating and air company! Need air conditioning repair, Dallas? Click HERE to schedule with us!